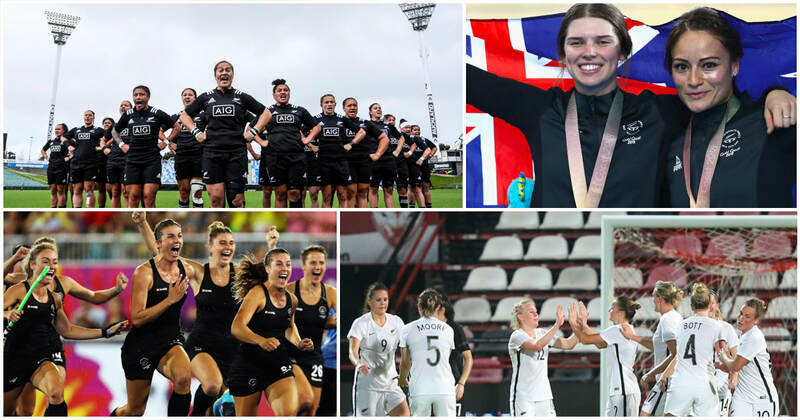 ​For the past six months, LockerRoom has been filling a gap in sports journalism, telling the stories and highlighting the achievements of New Zealand women in sport. These are powerful stories - inspirational, compelling and important - and we need your help to continue telling them. Our mission is to shine light on women in sport, with female journalists at the helm. However, as women’s sporting organisations and athletes will know, securing funding through conventional methods is not easy. That’s where you come in. LockerRoom will now be funded by reader contributions, which will go exclusively towards funding this section and its journalism. Your support will empower us to expand our coverage, with a focus on stories that raise the profile and recognition of our remarkable female athletes, coaches, teams and the people who support them. We’d love to have you join our support crew! Starting today, you can help fuel our mission with either a one-time or monthly donation. Every bit counts, however big or small you can manage. If we all pitch in together as a community, we can take LockerRoom to the next level. We look forward to having you join our team, alongside our award-winning writer and editor, Suzanne McFadden, as well as columnists Taylah Hodson-Tomokino, Sarah Cowley-Ross and Juliette Drysdale. Together, we can transform the way women in sport are covered in our media – for the better. We recommend reading the sections below for more information about LockerRoom's funding campaign. LockerRoom has partnered with PressPatron, a crowdfunding platform that makes it easy to support blogs and journalism websites. The PressPatron team would love to hear your feedback, and can be contacted here.